Will anyone speak up for Europe in Britain? 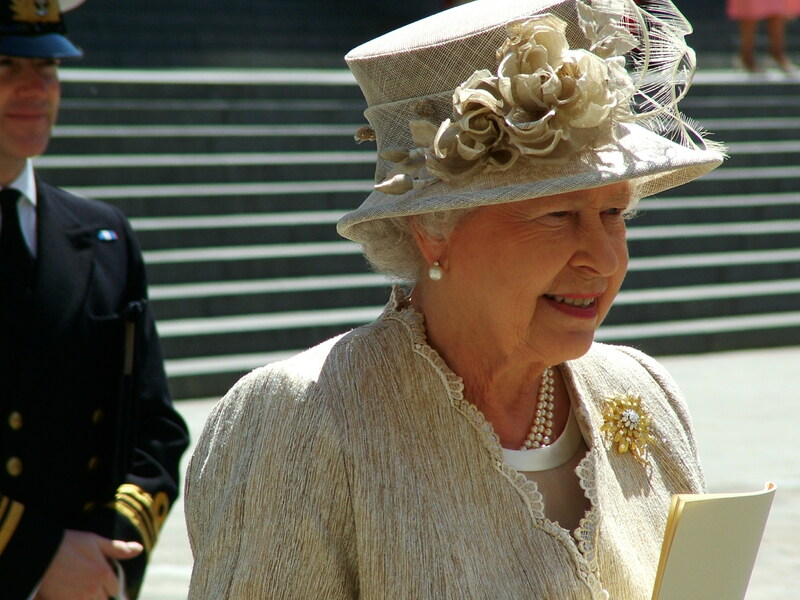 Since David Cameron’s electoral victory in May and his announcement of an in-out referendum on the EU, Queen Elizabeth has been the only senior British leader to speak out for European unity, writes Denis MacShane. Denis MacShane is a former minister for Europe in the Tony Blair government and author of Brexit : How Britain Will Leave Europe to be published by IB Tauris. This week the prime minister suffered a defeat in the House of Commons after a maladroit attempt to rewrite traditional rules about what ministers can say during the run-up to a national poll. The technical term for this is ‘purdah’ and it is designed to stop ministers abusing their office in the weeks of an official election campaign to secure votes. But the purdah of the weeks before the EU Remain-Leave referendum is less important than the purdah Mr Cameron has imposed upon himself and his ministers about finding any words that might encourage the nation to believe that membership of the EU is a good thing. Instead, No 10 tells business leaders to shut up and not say anything positive or to campaign against the bottomless purses of Eurosceptic advocates in the parts of the City or entrepreneurs like Sir James Dyson, who dries most European hands in public toilets, and Sir Anthony Bamford of JCB, who call for an Out or Leave vote. This runs with the preference of most business leaders who tell opinion polls they shudder at the thought of isolating Britain from Europe but simultaneously say they won’t spend money campaigning for an In or Remain vote. In the rest of the world referendums demand a simple Yes or No answer. Now a body of unelected officials in London called the Electoral Commission has unilaterally abolished that norm and proposed a question around the verbs ‘remain’ or ‘leave’. This helps anti-EU MPs who argue that a ‘leave’ vote would not necessarily be permanent but simply open the door to further, tougher negotiations that will force the 27 other member states of the EU to buckle to British Eurosceptic demands. In the first poll on the Electoral Commission’s wording, published on Sunday the result was a 51-49% vote to leave the EU. Until then pollsters, some of whose CEOs are strongly pro-EU, have been complacent in declarations that Britain would never contemplate voting to quit Europe. Summer events like the refugee crisis, especially its local UK variant at Calais, or the insistence of the ruling centre-right rulers in the EU that the Greeks have to accept decades of poverty in order to stay in the Eurozone have done little to make Europe popular. It has led Owen Jones, the leading new voice of left commentary and an influential journalist close to the probable next Labour Party leader Jeremy Corbyn to write that he will vote No in the referendum in solidarity with the Greeks and to punish the wicked Eurocrats and their austerity ideology. The incoming Labour leader, Mr Corbyn, has steered clear of Ukip-style Euroscepticism. Instead Mr Corbyn has said he would support the EU on the basis that it increased rights for workers and abolished austerity. At best Labour might offer its MPs and supporters the freedom to vote as they please, and a split as in France’s Parti socialiste in 2005 on the EU constitution referendum cannot be excluded. Labour and the Liberal-Democrats feel that Mr Cameron’s decision to hold an EU plebiscite was not based on national interest, but was instead an opportunistic move to try and draw Ukip voters back to the Conservative party. Together with other opposition parties like the Scottish Nationalists and the Liberal-Democrats, Labour will not hesitate to trip up a prime minister who has spent his leadership years criticising the EU and even pulling his party out of the main centre-right European Peoples Party federation. So who will now campaign for Europe? Who will pay for this campaign? Soon answers will have to be found. RE: Now a body of unelected officials in London called the Electoral Commission has unilaterally abolished that norm and proposed a question around the verbs ‘remain’ or ‘leave’. Given Mr. MacShane has no problem with bodies containing unelected officials such as the European Court of Justice or the European Court of Human Rights striking down entirely legitimate and democratically enacted legislation in a far wider range of areas, methinketh that the lady doth protest too much. The Electoral Commission serves quite rightly as a neutral body to ensure our elections are free and fair and not subject to corruption by politicians seeking unfair advantages. The Electoral Commission serves as a referee, making sure the rules are adhered to, they do not, unlike the ECJ or ECHR, simply invent new laws out of whole cloth. In this case, they decided upon the most neutral language possible for the referendum, language that did not favour the “In” side (as Mr. Cameron attempted) or the “out” side (which I support). But then, Mr. MacShane is a convicted criminal and he doubtless has a prejudice against bodies that uphold the law. Obviously Mutti Merkel is pushing for a similar level of Cultural enrichment for Germany.